Living in the digital age can be a blessing and a curse. You literally have all of the information in the world available at your fingertips. Unfortunately, carrying that much information at your fingertips also means that if is difficult to put it down. Your relationships can suffer. The draw of electronics is difficult for adults to resist and it is nearly impossible for kids to put down even for a few minutes. This is where hot tubs comes into play. 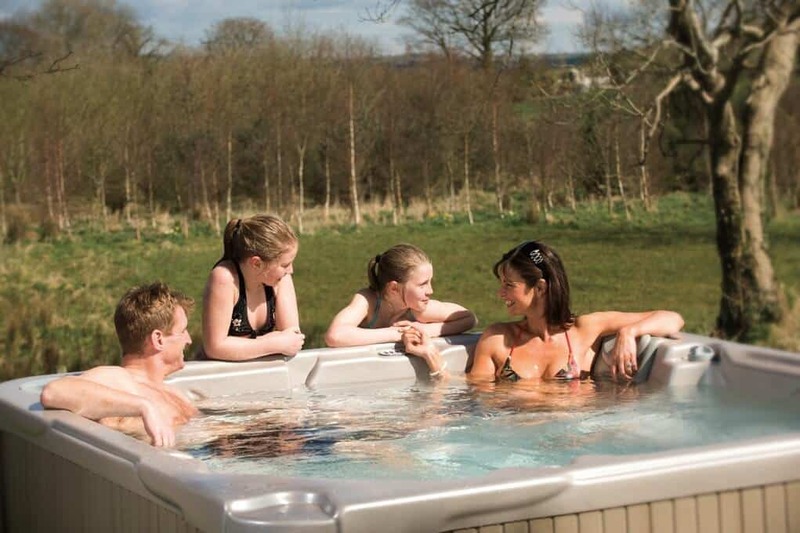 A hot tub is the perfect way to get your family to disconnect so they can come together and reconnect. You have tried everything that you can think of to get your kids to put down their phones and have a conversation, but it just doesn’t happen. We have found that kids of all ages will gladly put their electronics down for a few minutes in the hot tub. Whether they are 4 or 24 they are sure to jump at the opportunity to enjoy time in the hot tub, even if it is with their parents. This means they are leaving the electronics behind and could actually give you some real eye contact. If you have spent any amount of time in a hot tub, you know that there is something about them that gets the conversation flowing. Maybe it is because you are sitting there with nothing better to do or maybe it is the soothing heat that makes people feel relaxed and more willing to talk. Whatever the reason behind it, the magical conversation powers of a hot tub work wonders on kids too. Get them into the fun bubbly environment and watch the conversation begin to flow. That kid that keeps it all inside, might just be willing to spill it in the hot tub. Perhaps the best part of reconnecting with your family in a hot tub is that everyone will love it. So many activities are either fun for the kids but less than enjoyable for parents or vice versa. With a hot tub, mom and dad are sure to get just as much enjoyment out of the evening as the kids. If you are ready to bring some quality family time back into your life, stop by and see us at Aqua Pools. We would love to help your family reconnect in the relaxing heat of a brand new hot tub.